Bruce Wayne: You’re afraid that if I go back out there, I’ll fail. Alfred: No, I’m afraid you want to. 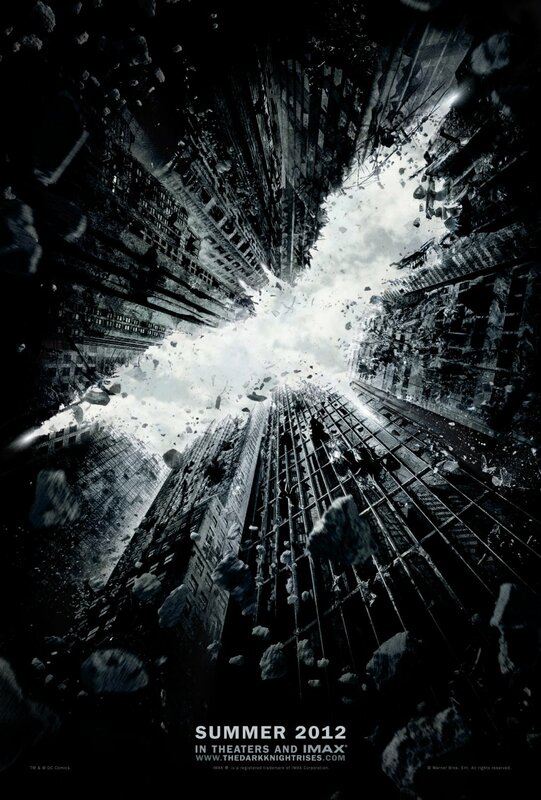 It is a rare occurrence in Hollywood for any film franchise to be as consistently incredible throughout its run as Christopher Nolan’s Batman series has been. 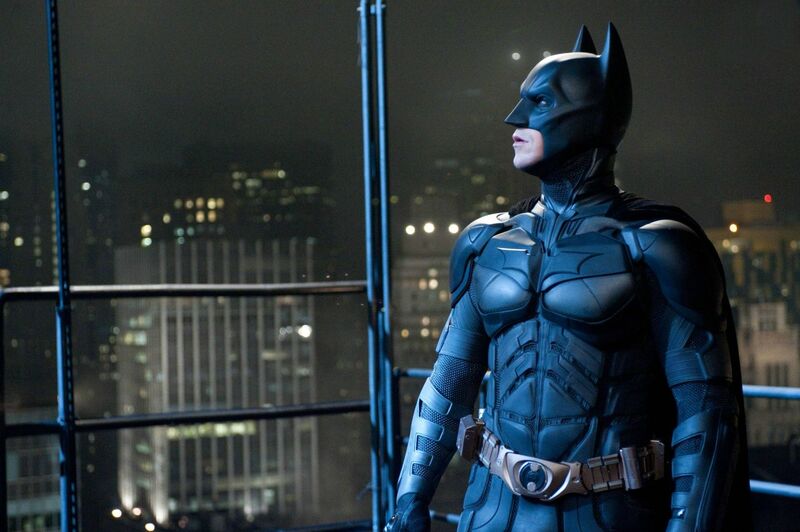 With THE DARK KNIGHT RISES, Nolan brings his ambitious take on the Batman ideology to an epic and fitting close. He brings his slow burning exploration of human fear to the brink of catastrophe and drags Gotham City and all its good people right along with it. The tension he has been building systematically since BATMAN BEGINS, that he brought to entirely unexpected heights in THE DARK KNIGHT, could only conclude in one way and that is with an all-out war. The question is, will anyone come out of this war a winner? Or even alive for that matter? 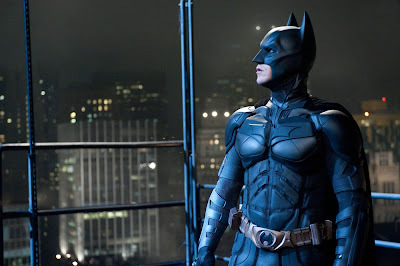 THE DARK KNIGHT RISES picks up eight years after the last installment left off, when Batman took the fall for Harvey Dent, so that Gotham could go on believing in the hero it needed at the time to move forward. Batman is retired and the man behind the mask, billionaire extraordinaire, Bruce Wayne (Christian Bale) has become a recluse from society. Wayne has always been a conflicted character but the necessary and inevitable journey he must make here to find the bat within and come out of retirement, makes for a bit of a stunted start to the film. We know he will get there so watching him walk away from his waking coma slows us down some, but once he gets there, that’s when things get interesting. Very interesting. 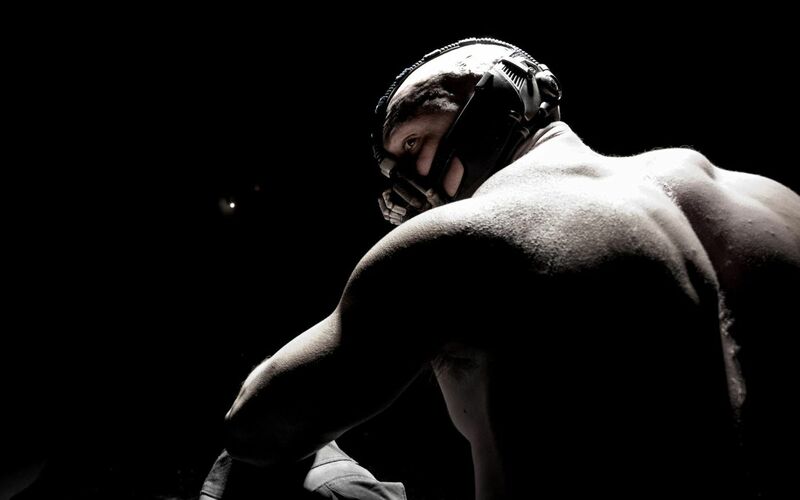 Batman must take on Bane (Tom Hardy) and he has no idea what kind of brute force he’s up against. His motivation to dust off the cape and mask come into question, primarily from his trusted aid, Alfred (Michael Caine, who impresses yet again by finding all new layers to this well known character). Is he doing this because Gotham truly needs him? Or is he doing this because he needs Batman to live? Worse yet, is he doing this because he needs Batman in order to justify killing himself? Regardless, he gets more than he ever expected with Bane, a man with a past that is even more complex than his own. To complicate matters even further, Batman must also contend with feisty cat burglar, Selina Kyle (Anne Hathaway). He can never quite tell whose side she’s on and thanks to Hathaway’s playful performance, neither can we. It isn’t just Batman who must rise to the occasion in this film. Nearly every character we meet must overcome their own limitations and rise to honour their past, their legacy or themselves. Like THE DARK KNIGHT before it, THE DARK KNIGHT RISES builds on ideas of fear, from struggling with it internally to inspiring it in others externally. Unlike last time though, this conflict is more visually destructive than it is psychologically disturbing. As a result, some of the motivation behind the terror felt like more of the same than another truly original installment. That said, the war itself is worth every second. So while THE DARK KNIGHT RISES may not have risen as high as I would have liked it to, it does soar through the sky like only Nolan’s great winged bat can. I agree with you about this being an fitting end to the trilogy. Chris Bale was at his best and Anne was great as Selina as well. it does soar indeed. i love your take on every character having to rise, not just batman. The more I think about this film, the more issue I have with it but I still think it is grand and entertaining, with many elements that rise to the occasion.